Emerging technologies like industrial robots, machine learning and artificial intelligence are advancing at a rapid pace. From simple assistants on phones to driverless cars, artificial intelligence (AI) has seen a fabulous growth and will continue to surprise us with its unlimited competences. More and more companies including some of the world leading tech giants are taking interest in this updated technology and are working towards emerging path-breaking technologies. Artificial intelligence and AI tools are expected to bring immense benefits for Outsourcing companies in India in the coming years. All the major IT giants universally have already made it clearer in several ways than one that Artificial Intelligence is the future. Though, countries such as China, Russia,U.S. and South Korea have been investing huge bucks in developing their Artificial Intelligence strategies. India too has been picking up the pace in moving forward its technologies. However, the main share towards Artificial Intelligence in India is coming from companies in the $143 billion outsourcing industry. Furthermore, top Indian firms like Tata Consultancy Services, Wipro and Infosys, have been delivering technology services to companies like Lockheed Martin, IBM, Deutsche Bank, Microsoft,Tech 30, etc. are slowly and steadily starting to trust on automation for their operations and business processes, giving the industry a shot in the arm. How does AI help outsourcing companies cut through the competition? 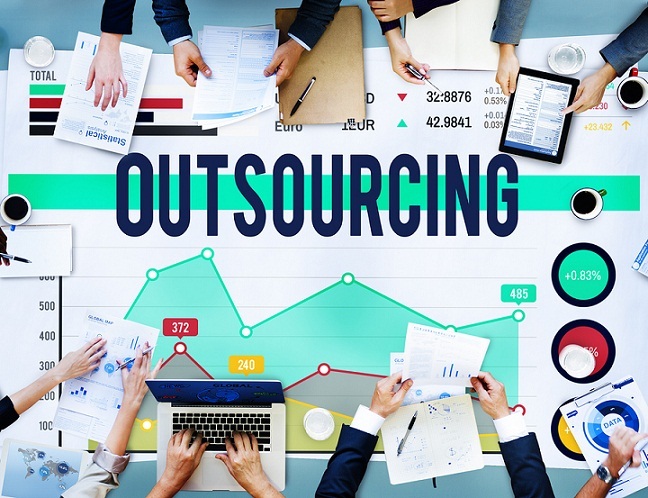 Outsourcing Companies in India, which truly understand the effectiveness and importance of artificial intelligence (AI) in their business, will be able to achieve greater operational efficiency within minimum time. Just like how companies moved from a manual paper-based works to digital processes by deploying actionable data, it is significant to recognize the importance of artificial intelligence and begin implementing it in outsourcing business. The idea of using AI in business needs to be normalized and companies should focus towards accepting new trends in order to increase the efficiency of business processes and finding amazing ways to generate high revenues. Today, there are quite a lot of AI apps and tools, which can be sensibly chosen to improve outsourcing business processes.AI capabilities at the earliest are set to reap incredible benefits-as it has the capability to reduce cost substantially- the core factor which led to the boom in the outsourcing sector. It would visibly alter the business and pricing models in the BPO spheres. AI will also support outsourcing providers to get up to speed and deliver service capabilities to their existing customers. In fact, it is expected to strengthen existing relationships. According to Gian Rama, the CEO of Innovantage (an innovator in AI) Automation will impact BPO companies by eliminating low-level work, but it will also improve the effectiveness of the human workforce. A recent global survey conducted by CIMA (Chartered Institute of Management Accountants) U.K. based professional body, across select European, Asian and African countries ranks India ranks the top three countries in the Globe implementing robotic automation in their core business practices. Outsourcing need to evaluate how to blend artificial intelligence with their existing pool of skilled, employees and do it fast.Despite showing remarkable growth in developing its AI, Indian outsourcing companies need to adopt techniques to gain maximum benefits from the AI revolution. AI is an emergent technology that BPO/ KPO companies will have to account for if they wish to continue survive into the future.